Abstract: The Paleoproterozoic Pinal Schist of southern Arizona shows many characteristics consistent with the hypothesis that it was part of a subduction complex associated with a Paleoproterozoic arc complex in central Arizona. In a (NW-SE) direction perpendicular to the trend of the arc complex, the Pinal Schist is exposed over a distance of at least 300 km in southeastern Arizona (from the Phoenix area to Bisbee). This distance is within the range of modern arc-trench gaps. The Pinal Schist is predominantly composed of interbedded quartz-sericite/muscovite schist and meta-wacke (interpreted as turbidite sequences) with minor meta-chert, meta-conglomerate, and rare marble. The Pinal schist/wacke sequences contain randomly distributed blocks/pods of mafic meta-volcanic rocks some of which appear to have oceanic affinities (for example, E-MORB) while others appear to have arc affinities based on trace element abundances. Isolated felsic flows, dikes, and hypabyssal intrusions with arc-like trace element patterns are also present. In addition, there are several larger mafic to felsic volcanic centers within the terrane. Granitoid intrusions also of Paleoproterozoic age are relatively common in the Pinal terrane and these can be divided into two groups. A “pretectonic to syntectonic” group that shows various degrees of foliation, ranges in age from 1.74 Ga to 1.65 Ga, and occurs mainly in the northern portions of the terrane. A “post-tectonic” group that is only locally foliated, shows an unusual consistency in ages clustered around 1.65 Ga, is found through much of the Pinal terrane. The metamorphic grade of non-plutonic rocks in the Pinal terrane is mostly greenschist facies although there are local occurrences of higher-grade assemblages. High P/T facies rocks (for example, blueschists) have not been identified in the Pinal terrane in over 100 years of mapping. Structural/tectonic features of Paleoproterozoic age associated with the Pinal terrane include meta-mélanges, shear zones, major thrust faults, and other structures typical of subduction complexes. The geologic and structural characteristics of the Pinal terrane suggest it reflects progressive growth of the Laurentian margin towards the southeast (present–day) between 1.74 and 1.65 Ga. The meta-volcanic rocks with arc-affinities and “post-tectonic” granitoids exposed within the Pinal terrane are here interpreted to reflect a spreading-ridge subduction event at around 1.65 Ga. The volcanic rocks with arc affinities were metamorphosed to greenschist facies assemblages not long (<10 Ma) after they were erupted onto the Pinal fore-arc. This metamorphic episode is thought to reflect an arc accretion/obduction event that buried the Pinal fore-arc beneath the fore-arc of an island arc terrane that came from the south. Most of this accreted arc terrane was eroded off the Pinal fore-arc terrane in the 300 Ma following accretion (prior to the deposition of the Neoproterozoic Apache Group). What may be remnants of this arc terrane are now exposed in northern Mexico. The creation of the Pinal terrane involved a high continental growth rate. The magmatism associated with the ridge subduction event and extensive plutonism within the terrane around 1.45 Ga likely contributed to the high continental growth rate reflected in this terrane and to the preservation of the terrane. 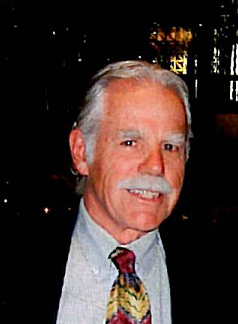 Bio: Dr. Meijer received a doctorate in geology in 1974 from the University of California at Santa Barbara. The title of his doctoral dissertation was “A Study of the Geochemistry of the Mariana Island Arc System and its Bearing on the Genesis and Evolution of Volcanic Arc Magmas”. His dissertation advisors included Drs. George R. Tilton, Daniel E. Karig, and Clifford A. Hopson. Following the completion of his dissertation work, Dr. Meijer conducted post-doctoral studies with Dr. Krishna A. Sinha at Virginia Polytechnic Institute and Dr. Lee T. Silver at California Institute of Technology before joining the Geosciences faculty at the University of Arizona in 1976. In addition to teaching undergraduate and graduate courses, he conducted field and laboratory studies focused on volcanic rocks in the Mariana island arc system. In 1984, he accepted a position at Los Alamos National Laboratory in New Mexico. In addition to work on classified projects, he carried out studies of the U-Th-Pb isotope systematics of ultramafic nodules from the mantle. In 1994, Dr. Meijer started his own consulting company to provide geochemical expertise to chemical companies, mining companies, and oil companies. He retired from the company in 2008. Dr. Meijer has published over 50 papers in peer-reviewed journals in addition to several books. Although originally from southern California, he prefers the geological variety and freedom of movement available in southern Arizona.